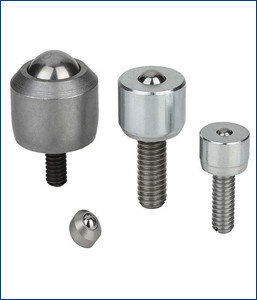 The support of our skilled professionals and up-to-date manufacturing unit has assisted our firm to manufacturer, distributor and trader Bolt Fixing Ball Transfer Units. Find wide application in power plants, FMCG and automobiles plants. These units ensure the precise control of operation in the operation. It is designed and manufactured in tune with industrial quality standards by utilizing premium quality metal and avant-garde techniques. Additional, clients provide their own specific designs and requirements according to the unit’s production.